Take part in a greatest Bike racing competition in this superbike racing game. Download free full version game now! 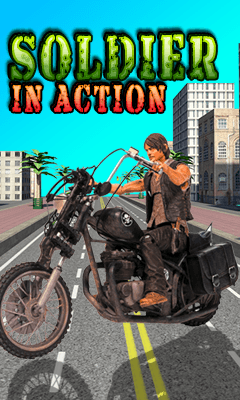 "Soldier in Action" is a racing game with all the new themes and concepts. 5 players are running in "Soldier in Action" to compete and win this prestigious Race. Many levels of race is there to complete. You have to complete all the levels to win this Trophy. Total distance covered will be the deciding factor to win this race. New racing concept is also there. You can also watch the current position of players in Map View. Features :- ***** Smooth control. ***** Amazing graphics ***** Easy to play yet addictive ***** Increasing level of difficulty Download and enjoy. Do provide your feedback as review. You can play FREE.